Using data in marketing is all about gaining efficiency and relevancy, Tourism Australia’s CMO, Lisa Ronson, says. 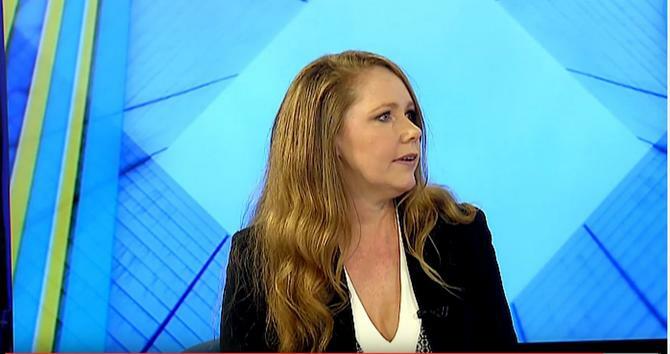 Speaking on the latest edition of the AANA Marketing Dividends program on Sky News Business TV, Ronson said the tourism promotional body is tapping data insights to define and control what messages it’s sending to consumers, resulting in a more efficient and targeted message. To help, Tourism Australia has established data sharing agreements with Virgin Australia and Qantas. “It’s about getting the right message to the right customer at the right time,” Ronson said. “Through data and data sharing deals, we can understand who has booked a trip to Australia and who hasn’t. Those two variables illustrate two very different points in the purchase funnel. The efforts appear to be working. In the last year, 8.1 million visitors came to Australia, a rise of 11 per cent year-on-year. Ronson noted Australia reported $98.6 billion in tourism expenditure in the last year, an increase of 7.5 per cent year-on-year. This figure is forecast by Tourism Australia to reach at least $155bn annually by 2020, and she predicted it could exceed this target by up to $10bn. Content and social media are core components of Tourism Australia’s go-to-market, and Ronson noted more than 3000 piece of content are being generated a day to promote Australia to international visitors. One of these was by Symbio Wildlife Park, which has had 150 million points of engagement thanks to sharing content on Tourism Australia’s various platforms. When it comes to managing the split between paid, owned and earned media, Ronson said there’s no silver bullet. The key is ensuring those things are connected. “We focus on our own channel, with some of the more basic content like itineraries, trip planners, weather information, visa information,” she explained. “We also looked to our earned channels, and advocacy is a really important factor in choosing an international destination. Of course attribution is a key issue for marketers, and Ronson said Tourism Australia struggles to achieve 100 per cent attribution modelling because it’s not selling products or services directly. Lisa Ronson was listed as one of Australia’s top 50 innovative CMOs in our 2016 CMO50 list. Read more about Tourism Australia’s marketing strategy and how Ronson is leading the way as CMO here.